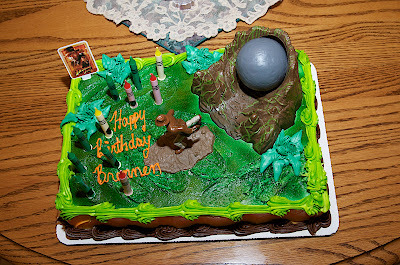 A week and a half ago we celebrated Brennen's 11th birthday in classic Indiana Jones style (as you can tell by the theme on the cake). I can't believe our little boy is turning into a little man. Those of you who have heard our story about him know what a miracle he is. I feel so blessed but I have no idea where the last 11 years went. God please help me to not be so busy that I miss the next 11.